Samir Amin lives as long as peoples’ revolutionary journey moves forward. And, peoples’ revolutionary march is unending as revolutionary advancement opens path for further revolutionary advancement. Samir Amin walks along peoples struggling against exploitation, against imperialism in countries. Samir Amin transcends all borders capital creates to divide peoples struggling against exploiters, against all divisive politics, against all sectarian ideologies, which serve imperialism. Samir Amin stands for a modern life for peoples while opposes all backward ideas and ideologies serving exploiters. 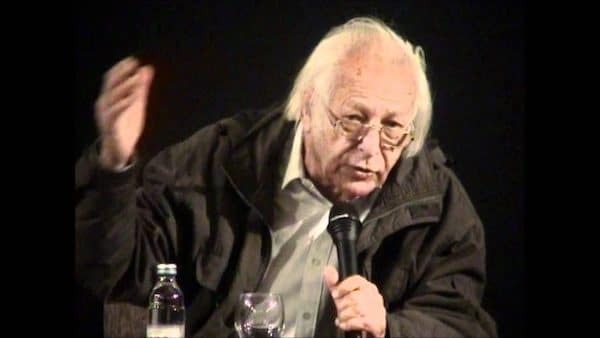 Samir Amin breathed his last on August 12, 2018 (Sunday afternoon) in Paris from a brain tumor as reported by his colleague Cherif Salif on Linkedin. The revolutionary Marxist economist was 86. Samir Amin was hospitalized on July 21, and returned home on Saturday. Samir Amin, one of the foremost Marxist theoreticians in contemporary world, was a communist. He was born in Egypt in 1931. Samir Amin emphasizes the importance of struggle, and forcefully suggests swimming against the tide. He was a member of the Communist Party of France during his time as a student in France. His spending a substantial time in “militant action” allowed him little time to preparing for his university examinations. In France, he gained a diploma in political science (1952), and graduated with higher degrees in statistics (1956) and economics (1957). On his return to Egypt, he remained a member of the Communist Party. He worked in Egypt, after completing university studies, and then in Mali, and then, at the head of Institut Africain de Développement Économique et de Planification (IDEP), and then as director of the Third World Forum in Dakar. [T]he challenge for all of us […] now is how we find the practical policies and strategies for progressive social change? His main contributions to radical theory have been in the field of international political economy. He considered class struggle one of the basic questions in interpreting political issues. Theories and interpretations were useless insofar as they didn’t challenge the “sacred” character of property. It was necessary to combat views that legitimize inequality and the prerequisites of capitalist reproduction, and empower the property owners. Amin opines: If the delinking is led by bourgeois forces, it will never go beyond a small class, however, if it is a process powered by popular forces, it will lead to other questions, namely industrialization and reviving peasant agriculture, as a means of having, ensuring food. It’s more than security, sovereignty, and having policies, economic policies including control of foreign capital. This might not mean that you reject completely foreign capital, but you control it. He terms this program as a sovereign popular national project for African countries. Globalization in contrast, is an extension of capitalist imperialism. So, he calls attention to capitalist-imperialist globalization controlled by financial monopoly capital, by a set of imperialist countries–principally the triad: the U.S., Western Europe and Japan. They are strong enough to control the processes of economic life and production and also political life at a global level. (ibid.) The initial object for countries of the global South has to be to free themselves from this globalization. His suggested sovereign popular national project for Africa will be national, but, not nationalist; will mean change of political power. He considers change of political power can’t be done at global level or even at a regional level before being changed at national level. It will not be a bourgeois, capitalist project. The required steps cannot be achieved while accepting the pattern of globalization and capitalism. In works including Accumulation on a World Scale, and Maldevelopment, Samir Amin argues against neo-classical economics from a class perspective. He was active in different places including the Third World Forum, the World Forum of Alternatives and the Arab Centre of Research. Optimistic about class struggle, Samir Amin provides excellent critiques of the effects of imperialism. He strongly denounces compradors and charlatans, and their loot. Insists that the economic laws of capitalism, summed up by the law of value, ‘are subordinate to the laws of historical materialism.’ Economic science, while indispensable, cannot explain at the highest level of abstraction, as in mathematical equations, the full reality of capitalism and imperialism—since it cannot account either for the historical origins of the system itself, or for the nature of the class struggle. Nor indeed can it present in a strictly determinant fashion the contemporary historical manifestation of the law of value, expressed as the theory of ‘globalized value,’ which requires recognition of such factors as monopoly power and unequal exchange. At best we can see value relations as historically ‘transformed’ in ways that are less determinant than in the abstract models based on a freely competitive economy, but which are still subject to meaningful political-economic analysis. In Amin’s analysis, then, the law of value and historical materialism do not have equal standing—if only because the former offers the world no way out, while the latter does. The theory of worldwide value is Amin’s signal economic contribution, summing up as it does the system of unequal exchange/imperial rent that divides the global North and the global South. Capitalism only adapts to the exigencies of the unfolding of struggles and conflicts that form its history at the price of accentuating its character as destroyer of the bases of its wealth—human beings (reduced to the status of labor force/commodity) and nature (reduced in the same way to commodity status). Its first long crisis (begun in 1873) paid off with thirty years of wars and revolutions (1914–1945). Its second (begun in 1971) entered the second, necessarily chaotic, stage of its [own] unfolding with the financial collapse of 2008, bringer of horrors and destructions that henceforth are a menace to the whole human race. Capitalism has become an obsolete social system. If we are to come out in the end from this ‘long tunnel,’ [Samir Amin] declares, it will be into socialism…a society aimed at transcending ‘the legacy of unequal development inherent to capitalism’ by offering to ‘all human beings on the planet a better mastery of their social development’—in line with ecological requirements. Accumulation on A World Scale, Monthly Review Press (henceforth MR Press), New York, 1974, The Law of Value and Historical Materialism, MR Press, 1978, The Law of Worldwide Value, MR Press, 2010, Imperialism and Unequal Development, MR Press, 1977, Class and Nation, Historically and in the Current Crisis, MR Press, 1980, Eurocentrism, MR Press, 1989, Capitalism in the Age of Globalization, Zed Books, London, 1997, Obsolescent Capitalism, Zed Books, 2003, Neocolonialism in West Africa, Unequal Development: An Essay on the Social Formations of Peripheral Capitalism, (with G. Arrighi, A. G. Frank and I. Wallerstein), La crise, quelle crise? (Crisis, what crisis? ), Transforming the world-economy? : nine critical essays on the new international economic order, (Andre Gunder Frank, Giovanni Arrighi and Immanuel Wallerstein), Transforming the revolution: social movements and the world system, L’Empire du chaos (Empire of Chaos), Empire of Chaos, Spectres of capitalism: a critique of current intellectual fashions, The Liberal Virus: Permanent War and the Americanization of the World, Beyond U.S. Hegemony: Assessing the Prospects for a Multipolar World, (with James Membrez), The World We Wish to See: Revolutionary Objectives in the Twenty-First Century, Eurocentrism – Modernity, Religion and Democracy: A Critique of Eurocentrism and Culturalism, Ending the Crisis of Capitalism or Ending Capitalism?, Maldevelopment – Anatomy of a Global Failure, Imperialsim and Globalization, The Implosion of Contemporary Capitalism, Russia and the Long Transition from Capitalism to Socialism. The communist, who began journey from the land of the Nile, upholds the standard of the revolutionary proletariat through his life and activism. The world proletariat recollects his role as a comrade, as a fighter.